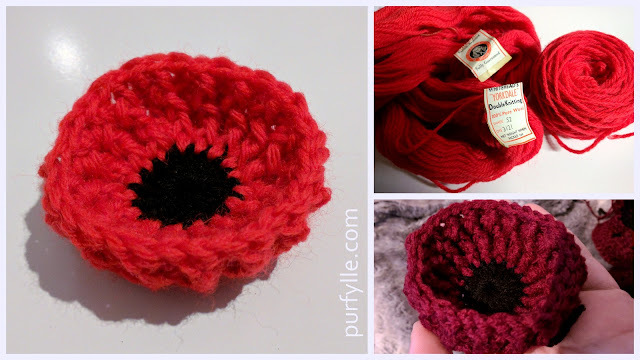 Several charming little crochet motifs came through on my Facebook feed by My Picot. One motif in particular grabbed my attention. There was a chart pattern for it. I have never used a chart pattern before although it's been on my list of things to learn to do. This was the motif that inspired me to have a go! It really helped that the pattern provides extra information for the details. I used some cheap acrylic yarn that doesn't have a nice hand feel or finish, regardless I think it turned out alright despite the yarn. In a nice cotton this motif would be dreamy, and you can even see what I mean if you take a look at the pin on my pinterest crochet board. 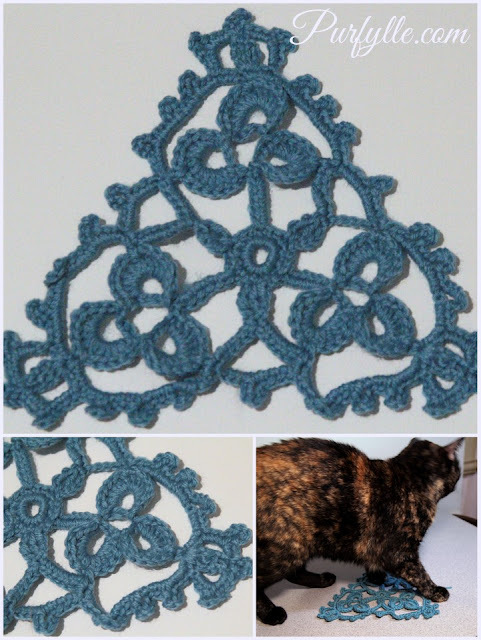 If you would like to try your hand at the chart crochet pattern you can find it linked to the pin as well. Ada-cat kindly offered herself as a guide for scale just in case you were wondering how big my motif tunred out. I used my trusty size 1 / 2.35mm hook with 8 ply acrylic. I'm rather pleased to say I think my first try at using a crochet chart was a success. What do you think? 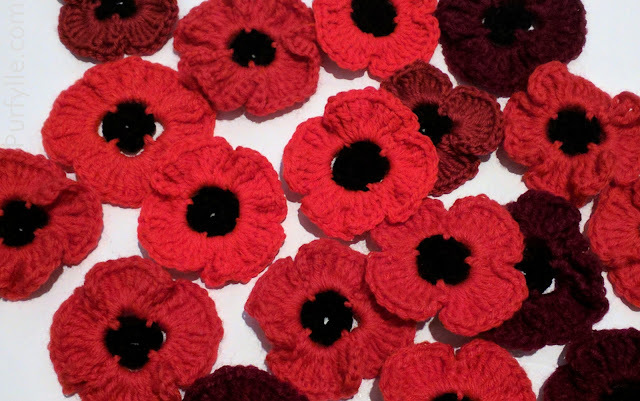 Would these motifs be suitable for the centre of an afghan if you made up enough motifs for a complete circle? I'll have to have a go at remaking it with a more appropriate yarn.